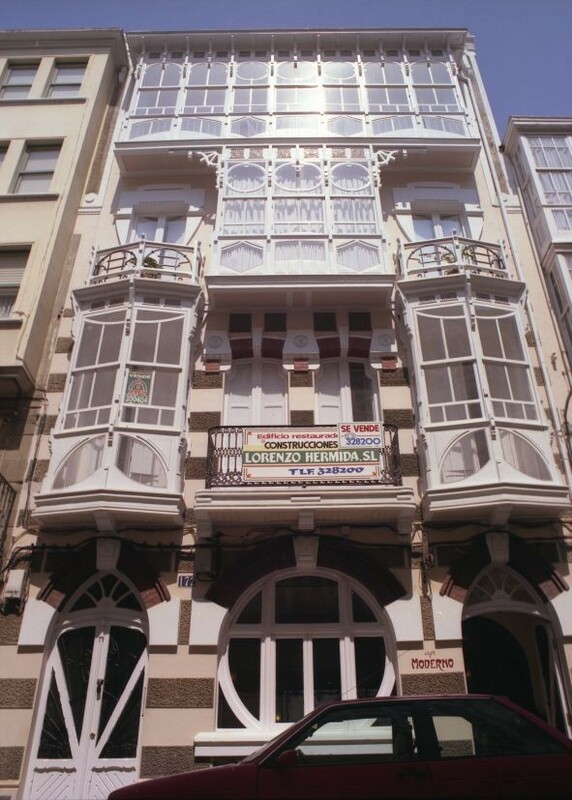 The Modernista buildings in the city of Ferrol are situated on an 18th-century military urbanisation project known as the district of La Magdalena. The area comprises a new quarter of rectangular city blocks forming a homogeneous grid and leading to buildings with large overhanging balconies that were progressively covered by white wooden galleries. These types of galleries are very common in many Galician cities and they create a transitional space between the street and the living area, something that is very appropriate because the region's wet climate. The development of Modernismo in the city is the work of one architect alone: Rodolfo Ucha Piñeiro, who left many works behind. Ucha Piñeiro graduated from Madrid's school of architecture in 1906 and, only two years later, he became Ferrol's city architect, where he had a long professional career and continued working until the late 1970s. During the early years of his career, Ucha Piñeiro combined historicist styles, which he reserved for public commissions, with a freer compositional style that he used for private commissions. 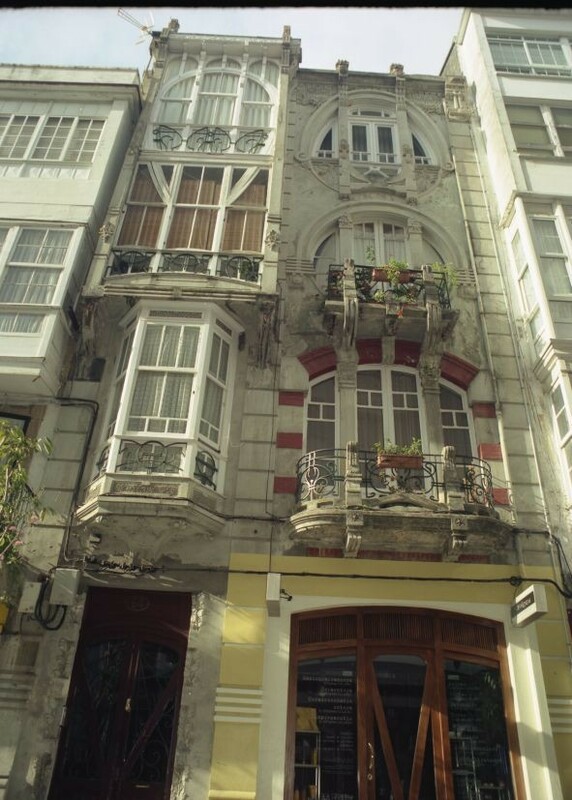 Nonetheless, Modernismo was introduced in Ferrol at a very late stage, in approximately 1910, and ten years later, Ucha Piñeiro abandoned the style completely. He slowly began to purify his formal style and moved more towards new rationalist trends. 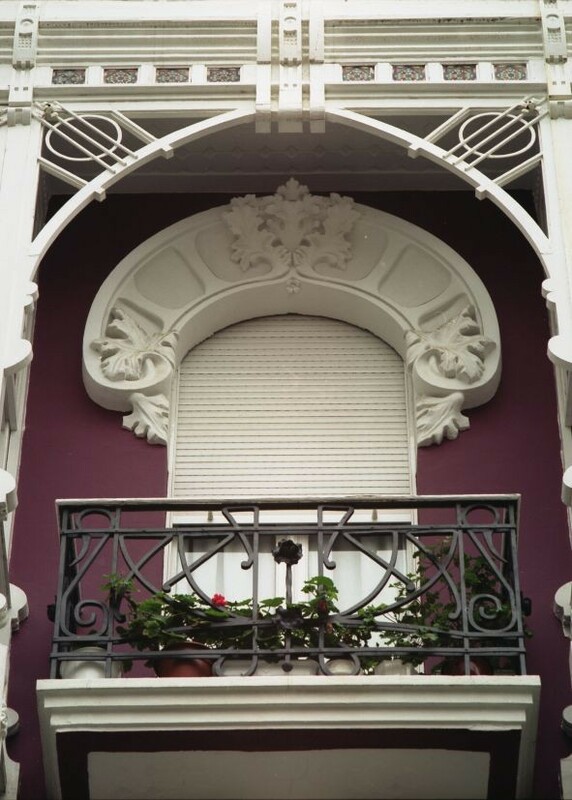 Rodolfo Ucha Piñeiro's architectural forms were very influenced by Belgian Art Nouveau architecture: circular windows and a daring use of iron as an ornamental, structural element and, above all, the strong decorative style it imposed on façades. Highlights of his work include the two Pereira houses he designed between 1912 and 1913, both with very elaborate façades. These works, alongside his Casa Munduate (1910-1911) and Casa Romero (1910), are highlighted by the decorative value of their galleries. While his street-corner building La Fonda Suiza displays one way of integrating Art Nouveau design with the neo-Baroque architecture that was dominating most major European cities at the time. 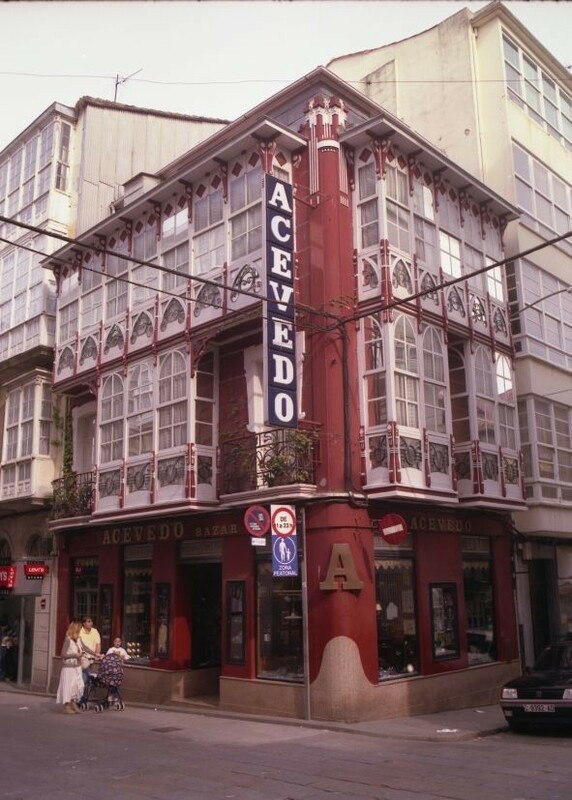 Like all the architects working in other Galician cities, Rodolfo Ucha knew how to re-adapt the local building tradition of classic galleries on overhanging façade balconies. These white wooden structures adapted well to the sinuous forms of Modernismo and are an example of how new styles can be integrated into existing structures.